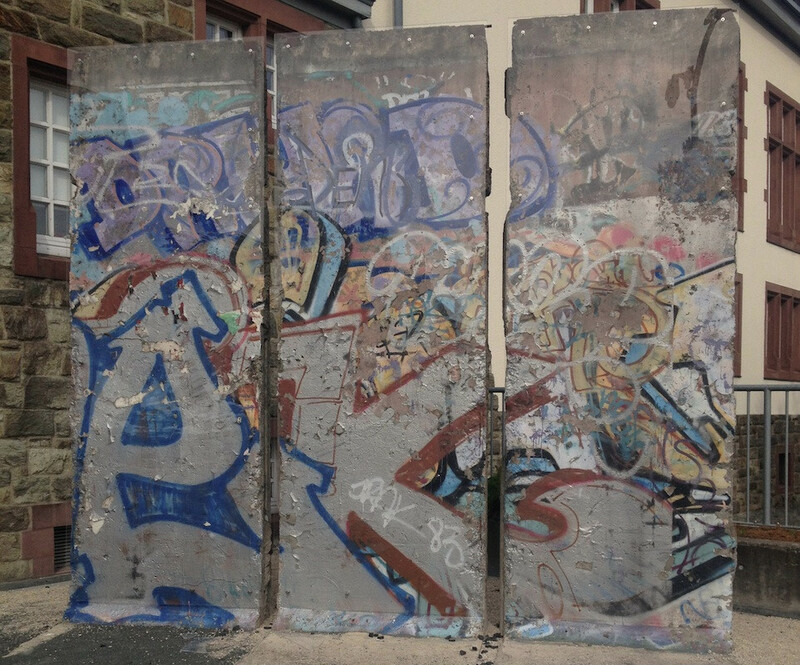 In 1997, SONY handed three segments of the Berlin Wall to Kronberg in the Hochtaunuskreis. 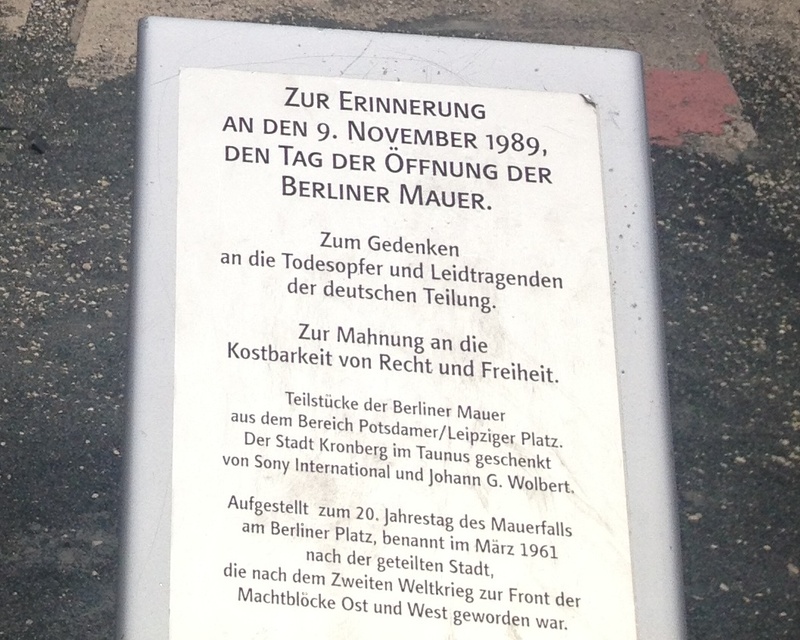 On their original location in Berlin, they had to give way to the new construction of the Sony center at the Potsdamer Platz. 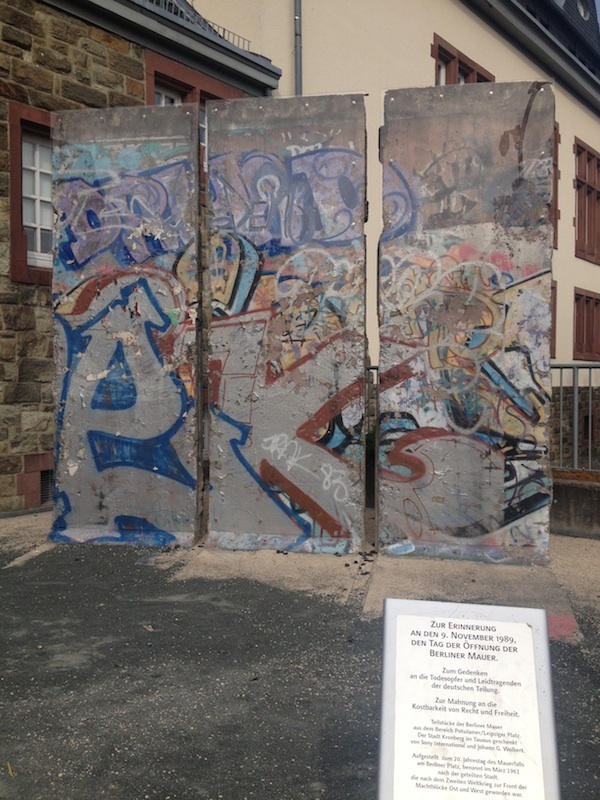 In Kronberg, initially they were placed on the municipal construction facilities, because the city couldn’t agree about a location. Finally in 2009, a decision was made and the segments removed to Berliner Platz (Berlin Square). They were supposed to have a disturbing effect on the appearance of the town hall, in order to underline the negative and the enmity of the German Division.